Michael A. Peters & Ruyu Hung. Solar Ethics: a new paradigm for environmental ethics and education? For all editorial matters, including articles offered for publication, please contact Professor Michael A. Peters (mpet001@illinois.edu). 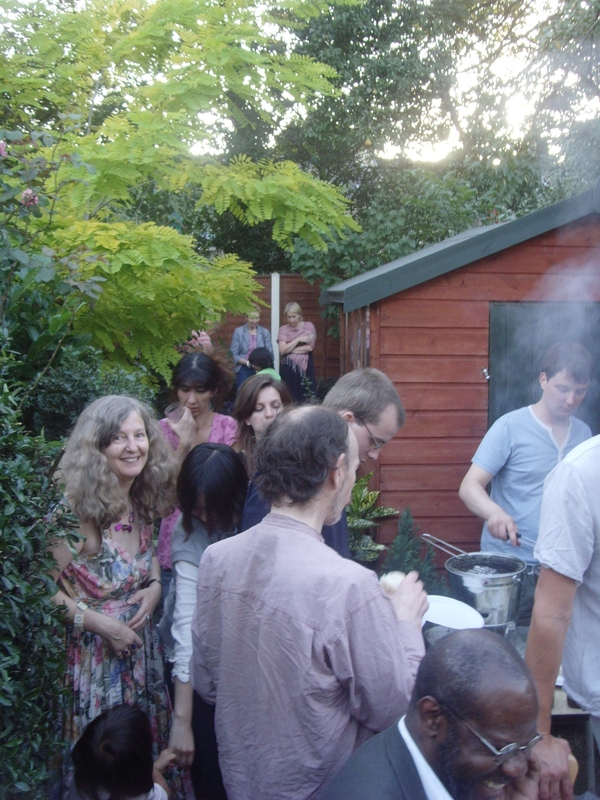 Ruth Rikowski describes beautifully (with pictures) the Summer Garden Party that we had at our home in Forest Gate on 22nd August 2009. It was a lovely day, and the first party we have run for many, many years. I am sure there will be more! A special thanks to those who brought food and wine, and to those who played musical instruments and sang, and Alexander Rikowski for running the barbeque! VOLUNTEER WITH CLIFF – CANADA ’S ONLY NATIONAL FILM FEST! The Canadian Labour International Film Festival (CLiFF) is now accepting volunteer applicants to help out with our inaugural festival. Our not-for-profit festival celebrates films about workers, for workers and by workers. Volunteers can be involved in many aspects of the festival from suggesting recent films for inclusion to helping throw media-related events like the one we are planning for Labour Day! As our festival launch draws closer we will also need people to help distribute leaflets, assemble media kits, as well as helping manage other volunteers. During the festival itself we’ll also need help taking tickets and individuals to act us ushers. There’s a place for everyone. Upon request, volunteers will receive a letter reflecting their commitment and involvement in the festival. Don’t pass up this unique opportunity to see the inner workings of a festival in its first year! The festival launches November 22nd in Toronto and runs until November 29th. It launches country-wide November 28th. We will be holding volunteer orientations sessions in August through the start of November. Please e-mail us at festival@labourfilms.ca and with the word “Volunteer” in the subject line. THIRD CANADIAN CONFERENCE ON SOCIAL ENTERPRISE – REGISTRATION OPEN! Join hundreds of existing and prospective social enterprise operators from every region in Canada at the Third Canadian Conference on Social Enterprise taking place in Toronto, November 18-20, 2009. Hosting the Third Canadian Conference on Social Enterprise is the Social Enterprise Council of Canada (http://www.enterprisingnonprofits.ca/resources/secouncil). A new book outlining how unions can help their laid off members, protect those still working, and prevent the gutting of their hard-won contracts – and their very unions themselves – has been published by Union Communication Services, Inc. (UCS). Union Strategies for Hard Times: Helping Your Members and Building Your Union in the Great Recession, offers how-to counsel for unions as the continuing economic crisis ravages workers and threatens to destroy decades of collective bargaining gains. Urging leaders to avoid falling into a strictly defensive posture, it outlines how unions can seize the time and turn crisis into opportunity. The author is Bill Barry, director of labor studies at the Community College of Baltimore County and a 40-year veteran of the movement. Barry calls on his long history of activism and years of “what works, what doesn’t” discussions with other leaders to come up with strategies to survive these terrible times and even use the crisis to build a better future. Union Strategies for Hard Times outlines a frank and systematic program for union leaders, stewards and activists who want to respond aggressively to those employers and financial interests that would have working people and their institutions just shut up, be nice and accept what’s given them. The book describes today’s challenges to unions representing workers in every sector of the economy and offers concrete, Organizing Model tactics to deal with them. No union activists who want to help their members — working or laid off — while defending and even growing their unions should be without this important book. Barry is the author of I Just Got Elected – Now What: A New Union Officer’s Handbook. Both books are offered by Union Communication Services, Inc., publishers of The Union Steward’s Complete Guide, Steward Update newsletter and other tools for union activists. Union Strategies for Hard Times is available for $15 plus $3 shipping and handling from http://www.unionist.com, 800-321-2545, or UCS Inc., 165 Conduit St., Annapolis MD 21401. * What are the values and traditions of workers’ education and how did they evolve? * Why is internationalism so important for workers’ education? * What are the similarities and differences between various models of workers’ education as practised by IFWEA affiliates in different countries? * Are any of these workers’ education models appropriate for dealing with rising social exclusion and extremism that characterises 21st century societies? * How do these models address political education and the building of social organisation and mobilisation? * Should workers’ education focus on individual or systemic change? Can it do both, and if so, how? These are some of the questions that will be discussed at the Workers’ Education as a Global Challenge international conference, which will be run in partnership with the School of Management and Labour Relations at Rutgers State University of New Jersey, and the Workers’ Education Association (ABF) of Sweden. The Labor Studies Journal invites submission of papers on the theme of labor and environment. Best papers will be selected for presentation at the 2010 UALE Conference and afterwards will undergo the peer-review process for possible publication in the Labor Studies Journal Special Issue. Please send electronic copies of manuscript draft of 5 to 8 pages by December 10, 2009 to one of the guest editors, listed below. Full-length manuscripts are expected at the time of presentation at the conference in March. The Labor Studies Journal is the official journal of the United Association for Labor Education (http://www.uale.org) and is a peer-reviewed journal. It publishes multidisciplinary research on work, workers, labor organizations, and labor studies and worker education in the United States and internationally. Job Description: Under the direction of the Coordinator of Negotiations, the Negotiator acts as chief spokesperson and chair of PSAC negotiating teams for bargaining units in the federal public and private sectors, and in provincial and territorial jurisdictions and represents the PSAC in third party dispute resolution processes such as conciliation, arbitration and mediation, in the context of federal and provincial labour legislation and the PSAC Constitution, regulations and policies. The Negotiator also provides advice and guidance to PSAC collective bargaining committees, elected officers and members on issues related to collective bargaining, including strike strategy and collective agreement interpretation. A detailed job description is available on our website: http://www.psac.com/careers/selectjob-e.cfm or upon request. Closing Date: August 28, 2009 at 3:30 p.m. Please submit your résumé stating how your knowledge, skills and abilities relate to the qualifications of the position by mail to: Human Resources Section, PSAC, 233 Gilmour Street, Ottawa, Ontario, K2P 0P1. By fax: (613) 248-4885, by e-mail: HRACTION@psac.com If you apply by e-mail, do not send a duplicate by fax or regular mail. Sessions include “ The Crisis in the Forest Industry”, “The Making of Labour Law and Public Policy”, “The Ongoing Crisis in Nursing”, “What Workers Need to Know: A Labour Education” and “L’Acadie at Work: The Survival and Development of Acadian Communities”. Speakers will present in both English and French, and simultaneous translation is provided. Registration is now open for the 2009 Maytree Leadership Conference on Thursday, October 1, 2009, 12 p.m. to 6:30 p.m. at 89 Chestnut Street, Toronto. Join Toronto’s leaders and explore the universal power of storytelling, the art of creating compelling stories and how to use individual and organizational narratives as powerful tools for change. This year’s theme is Telling Stories; Creating Change. Keynote speaker is John Cruickshank, publisher of the Toronto Star. He’s followed by former Chief of Staff to the Prime Minister, Tim Murphy, in conversation with Deena Ladd of the Workers’ Action Centre, moderated by CBC Radio’s Mary Wiens. Workshops will include Online Communities and Offline Action, Building Your Public Narrative, Pitching Your Story to the Media and The New Front Page: Telling Your Organization’s Stories Online. The day will end with a tenth-year celebration of Maytree’s scholarship program along with the release of an anniversary publication telling the students’ stories. The publication will also include policy insights on Canada’s refugee policies and programs. Postcolonial Studies is firmly ensconced in the Anglophone metropolitan academy: the field has its own specialised journals, academic posts, postgraduate courses, and dedicated divisions within learned bodies. But how well have these configurations travelled to other locations, institutions and disciplines? What topics, questions and approaches remain unexplored? And what’s ‘theoretical’ about postcolonial theory anyway? 1. Institutional chronologies: the Reagan/Thatcher years and the rise of postcolonial studies. 2. Postcolonial theory as travelling theory: adoptions, adaptations, and critiques beyond the Anglophone metropole. 3. Neglected regions: East Asia, Latin America, Eastern Europe and the Middle East. 4. Postcolonial theory and religion. 5. Postcolonial prospects: assets, liabilities and futures. 6. What’s left in/of postcolonial theory: activism, Marxism and globalisation. 7. What’s wrong with belonging? Rethinking diaspora, transnationalism and cosmopolitanism. 8. Postcolonial theory and the wars of the twenty-first century (Iraq, Afghanistan, Zimbabwe). 10. Postcolonial contraband: secrets, silence and censorship. Please send 20-minute paper proposals or panel proposals consisting of three papers, together with a brief bio, to yorkpoco@googlemail.com by October 1, 2009. Eleanor Byrne (E.Byrne@mmu.ac.uk , Department of English, Manchester Metropolitan University. This conference will bring together academics, advocates, artists, and other cultural workers to examine the intersecting fields of archive and everyday life theory. From Simmel through Mass Observation to contemporary Cultural Studies theorists, the objective of everyday life theory has been, as Ben Highmore writes, to “rescue the everyday from conventional habits of the mind…to attempt to register the everyday in all its complexities and contradictions.” Archive theory provides a means to explore these structures by “making the unfamiliar familiar,” hence opening the possibility of generating “new forms of critical practice.” The question of a politics of the archive is critical to the burgeoning field of archive theory. How do we begin to theorize the archive as a political apparatus? Can its effective democratization be measured by the participation of those who engage with both its constitution and its interpretation? “Archive” is understood to cover a range of objects, from a museum’s collection to a personal photograph album, from a repository of a writer’s papers in a library to an artist’s installation of found objects. Regardless of its content, the archive works to contain, organize, represent, render intelligible, and produce narratives. The archive has often worked to legitimate the rule of those in power and to produce a historical narrative that presents class structure and power relations as both common-sense and inevitable. This function of the archive as a machine that produces History-telling us what is significant, valued, and worth preserving, and what isn’t-is enabled through an understanding of the archive as neutral and objective (and too banal and boring to be political!). The archive has long occupied a privileged space in affirmative culture, and as a result, the archive has been revered from afar and aestheticized, but not understood as a potential object of critical practice. Can a dialogue between archive theory and everyday life theory work to “take revenge” on the archive (Cvetkovich)? If the archive works to produce historical narratives, can we seize the archive and its attendant collective consciousness as a tool for resistance in countering dominant History with resistant narratives? While the archive has worked to preserve a transcendental, “affirmative” form of culture, bringing everyday life theory into conversation with archive theory opens up the possibility of directing critical attention to both the wonders and drudgeries of the everyday. Archiving the everyday-revealing class structures and oppression on the basis of race and gender, rendering working and living conditions under global capitalism visible, audible, and intelligible-redirects us from our busyness and distractedness, and focuses our attention on that which has not been understood to be deserving of archiving. The archive provides the time and space to think through a collection of objects organized around particular set of interests. If the archive could grant us a space in which to examine everyday life, rather than sweeping it under the carpet as a trivial banality, we could begin to understand our conditions and develop the desire to change them. How can we envision the archive as a site of ethics and/or politics? Does the archive simply represent a place to amass memory, or can it, following Benjamin, represent a site to make visible a history of the present, thus amassing fragments of the everyday, which can in turn be used to uproot the authority of the past to question the present? In short, what happens when we move beyond the archive as merely a collection and begin to theorize it as a site of constant renewal and struggle within which the past and present can come together? Furthermore, how then does the archive as an everyday practice allow us to understand or change our perception of temporality, memory, and this historical moment? * The archive both includes and excludes; it works to preserve while simultaneously doing violence. Are the acts of selection, collection, ordering, systematizing, and cataloguing inherently violent? * The question of digitization: the internet as digital archive and the digitization of the physical archive. Digitizing the archive renders collections invisible and distant, yet increasingly searchable and quantifiable. Does the digitization of the archive reveal new ways of seeing persistent power structures? Or does it hide them? * National and colonial archiving: questions of power and national identity. * The utopian, radical potential of the archive as well as its dystopian possibilities. 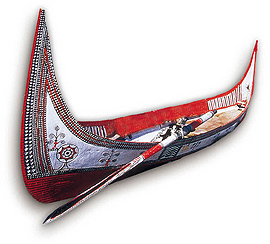 * Indigenous modes of archiving. * Visibility and pedagogy: while the archive often works to hide, conceal, and store away, it can also reveal and display that which otherwise remains invisible. Do barriers to access restrict this emancipatory function of the archive? * Questions of collective memory and nostalgia (for Benjamin, a retreat to a place of comfort through nostalgia is not a political act). * The archive as revisionist history. * The archive as a form of surveillance. * The role of reflexivity with respect to the manner in which the archive is constructed/produced/curated. * Function of the narrative form for the archive: how does the way in which the archive reveals its own constructedness unravel the concept of the archive as “historical truth”? * The future of the archive: preservation and collection look forwards as well as into the past. How should we understand the hermeneutic function of the archive and the struggle over its interpretation? * The relationship between the archive and the archivist/archon. * Mechanisms of inclusion and exclusion in the archive: who speaks and who is spoken for? * The affective relationship between the archive and the body. Following the conference, we intend to publish an edited collection of essays based on the papers presented at the conference to facilitate the circulation of ideas in this exciting field of inquiry. “The Archive and Everyday Life” Conference will take place 7-8 May, 2010, sponsored by the Department of English and Cultural Studies at McMaster University in Hamilton, Ontario (John Douglas Taylor Fund). The conference format will be diverse, including paper presentations, panels, round-table exchanges, artistic performances, and exhibitions. We encourage individual and collaborative paper and panel proposals from across the disciplines and from artists and community members. Paper Submissions should include (1) contact information; (2) a 300-500 word abstract; and (3) a one page curriculum vitae or a brief bio. Panel Proposals should include (1) a cover sheet with contact information for chair and each panelist; (2) a one-page rationale explaining the relevance of the panel to the theme of the conference; (3) a 300 word abstract for each proposed paper; and (4) a one page curriculum vitae for each presenter. Please submit individual paper proposals or full panel proposals via e-mail attachment by October 15, 2009 to tayconf@mcmaster.ca with the subject line “Archive.” Attachments should be in .doc or .rtf formats. Submissions should be one document (i.e. include all required information in one attached document). Finally, they take the brunt of the conflict at the contested interface between production and consumption, having to deal in their personal lives with the conflicts between the demands of paid and unpaid work. Drawing, amongst others, on organisational theory, sociology, communications studies, industrial relations, economic geography, gender theory and political economy, this important collection brings together survey evidence from around the world with case studies and vivid first-hand accounts of life in call centres from Asia, North and South America, Western and Eastern Europe. In the process it reveals many similarities but also demonstrates that national industrial relations traditions and workers’ ability to negotiate can make a significant difference to the quality of working life in call centres. Ursula Holtgrewe, Jessica Longen, Hannelore Mottweiler, Annika Schönauer, Premilla D’Cruz, Ernesto Noronha, Simone Wolff, Claudia Mazzei Nogueira, Enda Brophy, Norene Pupo, Andrea Noack, Pia Bramming, Ole H. Sørensen, Peter Hasle, Päivi Korvajärvi, Vassil Kirov, Kapka Mircheva, and Ursula Huws. We recognize with sadness: the doors at Room 101, an incisive radio program on KZUM hosted by Michael Baker, are closed. Mr Baker’s long run on the radio included interviews with key radical and progressive voices in education from Noam Chomsky to Wayne Ross and liberals as well. Congratulations to Michael Baker on a great run. Two, three, many Room 101s! What would be helpful is to wonder about the analytical and critical mistake that led to all that support for Obama, a demagogue. Several things led to that. 1. A misunderstanding of capitalist democracy which is now sheer capitalism and little democracy. There was no significant difference between the Bush/Obama/McCain or even Clinton policies. Obama has betrayed, if we take his consistency as a betrayal, nearly all of his liberal supporters who, for what have to be psychological reasons, still support his personification of the reign of capital which has, among other things, failed in every important arena of human life. 2. A misunderstanding of the gravity of the current situation vis a vis the war of empires. The US is in rapid decline in relationship to Russia China and even Europe and Japan—economically and militarily, and the US has lost any ability to promote itself as a moral nation, internally and externally. This puts extraordinary pressure on elites who need soldiers, Boeing workers, prison guards, and teachers too. 3. A misreading of the real internal crisis inside the US; the rapid rise of segregation and inequality–which has not, yet, led to civil rebellions. But everything is in place to lay the ground for those uprisings, except a left which can make sense of why things are as they are, and what to do. Lost wars. Collapsed economies. Immoral leaders caught with dozens of hands in a thousand cookie jars, war without reason pulling 1.5 million people into direct action—and the wreckage of their lives. All that should, and more, should mean massive resistance. But that has not happened? Why not? No draft. No left. Spectacles. Divide and Rule. Carrot and stick. The education system. The same ways tyrants always ruled. 4. The continuing appeal of racism and nationalism. 5. Acceptance of the division of labor inside academia which means, for example, historians talk to historians and write books while literacy people talk to literacy people and write books, and few academics seriously organize anything at all, as the state of the campuses (and open willingness of the overwhelming majority of faculty to abandon their academic freedom in favor of standards) now. This also means historians, as in AHA, don’t pay much attention to teaching while too many education personnel don’t know much history. 6. A general public so mindless about history and social processes that it can rightly be called hysterical, potentially dangerous. Steeped in spectacles and consumerism for more than a decade, so vacant about their location in the world that Chalmers Johnson says they cannot connect cause and effect (as with the endless wars, but in regard to schooling as well). Fickle to the core, they howled for Bush, abandoned him when things went wrong, then another bunch howled for Obama, and now we see a new crowd howling about health care–all leaping for thousands of forms of selfishness that keeps the the war of all on all that is the system of capital alive and well. http://la.indymedia.org/news/2009/08/229885.php Those who are not angry and screeding a bit these days may not be witnessing the ravages of war, hunger, unemployment, and unreason itself. Youth Fight for Jobs is to have a national demonstration against youth unemployment. Youth Fight for Jobs is supported by the RMT, the PCS and the CWU, and will be calling a national demonstration on 28 November around the slogans “for real jobs – for free education”. Youth Fight for Jobs was launched through a ‘March for Jobs’ to the G20 meeting in London on 2nd April. Over 600 unemployed youth, young workers, graduates and school leavers marched through four of the poorest boroughs in London before rallying at the G20 meeting. Youth Fight for Jobs is supported by three major trade unions, the Rail, Maritime and Transport Union (RMT), the Public and Commercial Services Union (PCS) and the Communications Workers Union (CWU). The world is changing, there is no going back, and the future from here is difficult to imagine. The daily crisis of life in capitalism has made itself felt in the highest places, and is accelerating everywhere. Our conversations have become more urgent. Some attempt to piece back together the neo-liberal or Keynesian paradigms of the past, while others are hesitantly re-discovering Marx – Marx the theorist of crisis, Marx the prophet of social change, even Marx the materialist philosopher of nature, anticipating the ecological perils of modern capitalism. Yet a thorough grasp of Marx’s work and the tradition he inspired remains largely absent from these discussions. In organizing the first US Historical Materialism conference we hope to remedy this lack, to open a space for critical, rigorous and boundary-pushing theory, to explore and provoke our understanding of capital and communism with a critical eye to the traditions of the past, whilst confronting the crises and struggles unfolding around us. Historical Materialism (HM) is one the foremost journals of Marxian theory, known both for the breadth of the articles it publishes as well as for their intellectual rigor. Every year HM holds its major conference in London, drawing hundreds of scholars from around the world. Beginning last year, a group in Toronto held the first ever HM conference in North America. Based on the success of that event and the growing demand for critical Marxist understanding of this moment, another Historical Materialism conference, the first in the US, will be held in New York in January, 2010. The conference will be held from January 14th to 16th at the Graduate Center of the City University of New York. It will be free and open to registered attendees, although donations towards the running of the conference will be solicited. All conference participants are encouraged to stay for the whole duration of the conference. The organizers will attempt to arrange panels according to broad threads running through the conference – e.g. crisis, land/labor, communism – allowing for an extended exploration of particular themes. The deadline for abstracts is November 1st 2009. The publication of Hardt and Negri’s Empire (2000) brought new attention to a previously ignored current of revolutionary theory and practice, namely that of autonomist Marxism, or more broadly, autonomism. While the work of Hardt and Negri have receive quite a deal of attention within cultural studies research and writing since then, this have tended to neglect the vast wealth of engaged theoretical reflection contained within the history of autonomist thought and organizing, reducing it to the work of a few recent works by particular authors. For instance, the concept of class composition, or the ways in which class formations emerge from contestation and the primacy and determining role of social resistance, shares much in common with various strains of thought in cultural studies. Similarly, workers’ inquiry as a method of inquiring into the conditions of working class life to rethinking its ongoing subversive political potentiality, functions in similar ways to how early cultural studies shifted to an analysis of the everyday based on renewing and deepening radical politics. Send proposals of 500 words to Stevphen Shukaitis (stevphen@autonomedia.org). The deadline for submissions is September 7th, 2009. Stevphen Shukaitis is an editor at Autonomedia and lecturer at the University of Essex. He is the editor (with Erika Biddle and David Graeber) of Constituent Imagination: Militant Investigations // Collective Theorization (AK Press, 2007). His research focuses on the emergence of collective imagination in social movements and the changing compositions of cultural and artistic labor. For more on his work and writing, see http://stevphen.mahost.org. Jack Z. Bratich is assistant professor of Journalism and Media Studies at Rutgers University. He is the author of Conspiracy Panics: Political Rationality and Popular Culture (2008) and co-editor of Foucault, Cultural Studies and Governmentality (2003), and has written articles that apply autonomist thought to such topics as audience studies, reality TV, secession, and popular secrecy. A Special Issue of tripleC (http://www.triple-c.at): Information and Communication Technologies and the Current Crisis: How Are They Connected? The Crisis that began in 2007 continues to convulse the world. Labelled by some as merely a recession, yet it is associated with dramatic changes in national and global power. Others frame the Crisis as merely a consequence of over-promoting a narrow range of financial transactions associated with subprime mortgage instruments. These were indeed overly aggressively oversold by deregulated bankers, but this was likely only an important trigger of the Crisis, not the primary cause. In this special issue, we will explore the notion that much of the basis of the Crisis should be assigned to financial transactions not just made possible but also strongly afforded by use of computer technologies. Thus, those operating at the highest levels of algorithmic capacity bear substantial responsibility for the Crisis. For students of technological innovation and diffusion, many questions emerge about the connection between the Crisis in general and computerization. Some of the questions involve the tight relationship between cultures of technological empowerment and financial elites. Others questions, while appearing initially to be purely economic, turn out on examination to articulate strongly with the public interest, civil society, policymaking, and public discourse more generally. These in turn lead to further, perhaps quite new critical questions about the emerging relationships between capitalism, democracy and the data-information-knowledge-technology nexus. Thus, equally important for responsibility is specification of what is known within computer science about the technological dimensions of the Crisis of this crisis. Ultimately, a rethinking of the very notion of “crisis” itself may be needed. * What kind of crisis is this, how is it different from previous ones, how are these differences related to automated ICTs and the changed practices they have afforded? * What role do computer professionals have in the crisis? * Does this crisis suggest a dystopian post-human future? * What media theories best explain the crisis, or has the time arrived for newly radical approaches in this area? * How does public policy fit in the private world of computerization? * What historical guides are available as tools to foster better analyses of technological crisis? * Will the BRIC nations (Brazil, Russia, India, China) be the “winners” of this crisis? * Are there artistic innovations that help refine political and policy responses to this crisis? * What new knowledge innovations are needed to understand the forces at work in this crisis and its implications for democracy? * What new questions need to be addressed to orientate research about the crisis? * How are the computing-, information-, and media-industries affected by this crisis? How will they develop in the future? This special issue of tripleC is intended to feature research from both theoretical and practical perspectives. We seek contributions from any theoretical, professional, or disciplinary perspective that offers innovative analysis that promotes debate about technology and the Crisis. Submission deadline: Full papers should be submitted until October 31st, 2009. All papers will be peer reviewed. The special issue will be published in spring 2010.
tripleC – Cognition, Communication, Co-operation: Open Access Journal for a Global Sustainable Information Society (http://www.triple-c.at) promotes contributions within an emerging science of the information age with a special interest in critical studies following the highest standards of peer review. Submissions must be formatted according to tripleC’s guidelines: http://triplec.at/index.php/tripleC/about/submissions#authorGuidelines, make use of APA style, and use the style template: http://triplec.at/files/journals/1/template-0.dot. Papers should be submitted online by making use of the electronic submission system: http://triplec.at/index.php/tripleC/user/register, http://triplec.at/index.php/tripleC/login). When submitting to the electronic system, please select “Special issue on crisis & communication” as the journal’s section. David Hakken is professor of informatics at Indiana University. Marcus Breen is associate professor of communication studies at Northeastern University.